Q. What is the youngest age dancer you accept? A. We accept dancers ages 2 and up. Click to see our Combo Dance Classes that include Ballet & Tap for Toddlers -- your little one is sure to love them! Q: How do I register for Dance Classes? A: You can register anytime that is right for you! 620 Dance Centre offers easy online registration -- just click the Online Dance Registration link to get started! 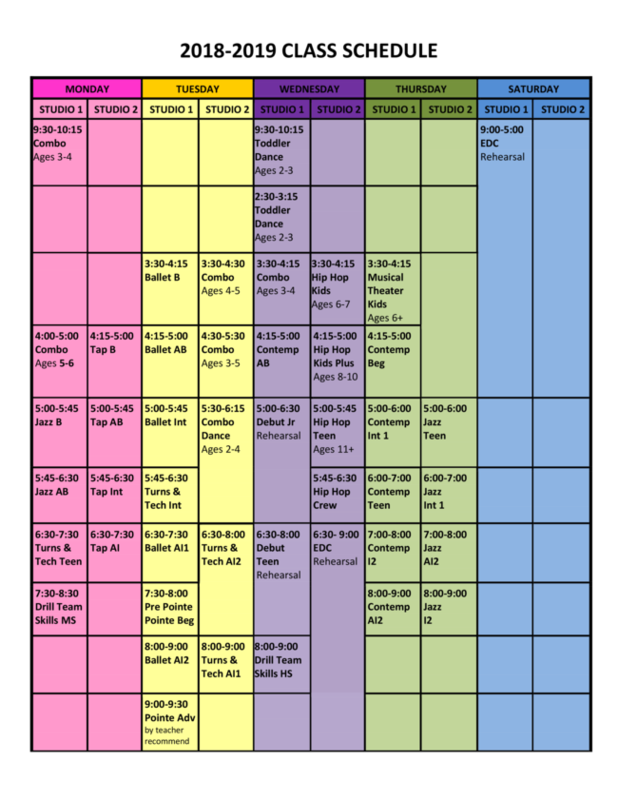 Note: it is a good idea to check our schedule first to find the classes that work for your dancer and your schedule. Click here to view our 2018-2019 Dance Class Schedule! Detailed class descriptions are available online to assist you in class selection. Q: What fees are due upon Registration? A: Upon Registration, each dancer/family is responsible for the payment of a registration fee & pre-payment of May 2019 tuition. Click here to see all our Dance Tuition & Fees. Q: Can my child try a dance class before enrolling? A: Absolutely! We always encourage new students to participate in a trial class. All trial classes are free! These classes help all of us find the appropriate class level as well as the dancer’s comfort zone. Give us a call at (512) 266-2888 or email us admin@620dancecentre.com to set up your trial class today! Q: Can your studio be considered conservative? A: We believe that all classes, music, choreography and costumes should be age appropriate and family friendly. We have been serving Austin, TX for 33 years and are proud to have kept our high standards from the very beginning! Click to see our dance picture gallery and see for yourself our beautiful costumes for dancers of all ages! Q: What can I expect for Spring Concert 2019? A: A wonderful memory of your child's year of dance! Click to see a short 1 minute "sneak peak" from our 2013 Spring Concert Video! Performance Fees are $75 per student or $100 per family and include free admission for you to bring your family and to invite grandparents and/or special guests to enjoy a lovely evening of dance from all ages of dancers! Costume fees charged per class as follows: $60 for Pre-School and Combo classes; $70 for Advanced Combo; $80 for Beginner-Advanced Beginner level classes; $90 for Intermediate-Advanced & Teen level classes . Q: How many days does your Dress Rehearsal and Spring Concert last? A: Our Dress Rehearsal is held on the same day as Spring Concert! Dress Rehearsal runs 9am-4:30pm, on Spring Concert day. Students are scheduled to a specific rehearsal time and are allowed to leave after all choreography has been completed. Spring Concert begins 7pm. All events are held at the RRISD Raymond Hartfield Performing Arts Centre, located adjacent to McNeil High School or a like venue. Q: Do you have a competitive dance team? A: Yes we do! 620 Dance Centre has a competitive dance team, Encore Dance Company. Click to see pictures from last years dance competitions and award won! Encore Dance Company members range in age from 9-18. Membership is by open audition held in early May, for the next new season. For more information, call our office at (512) 266-8888 -- we love to share about our wonderful dance team oportunity! A: Encore Dance Company requires that every member be enrolled in a minimum of 4 classes per week, in addition to company rehearsal schedules. Members have a company rehearsal every Wednesday and the 1st & 3rd Saturday of each month. We fully support area public school dance programs and do our best to coordinate schedules for performance and competition to allow our members to participate in multiple activities.